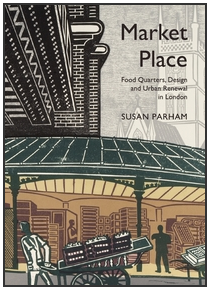 Tonight, Dr Susan Parham will be discussing her new book Market Place: Food quarters, design and urban renewal in London with Tim Butler, Professor of Geography at King’s College London, at an event chaired by Dr Fran Tonkiss, Director of the Cities Programme. Are food quarters developing in London? If that’s the case, are these no more than artful settings for people to play out a middle class ‘habitus’ based on distinction about food? Is food just another ‘field’ in London’s relentless gentrification? Or are these places something more? Do new interconnections between physical design and socio-spatial practices in relation to food promise to offer cities greater conviviality and sustainability? Might they provide interesting models for food-informed design and planning elsewhere? Tuesday 11 June 2013, 6-8pm. More information here. LSE Thai Theatre, New Academic Building.